Scroll through the pictures of Copperwood Apartments and take note of the care we have for quality. We want our residents to be happy living here, which is why we provide so many amenities. Our residents have the option to pay rent online, go swimming in the pools, or relax at the clubhouse.  Copperwood Apartments welcomes pets and we have ample green space to take your dog for a walk. If you have an active lifestyle and need a quick place to get in a workout, you can use the brand new state of the art fitness center that is stocked with weight equipment and cardio machines. Invite your friends over to sit by the outdoor fireplace, or BBQ by our new courtyard, while enjoying the sounds of Westminster. We invite you to schedule a showing of our one and two bedroom apartments for rent in Westminster, Colorado today!